Home›Posts Tagged "Web search engine"
In my last post, I shared with you the first 3 ways to drive traffic to your real estate website without search engines. If you missed that post, you can see it at 7 Ways to Drive Traffic To Your Real Estate Web Site Without Search Engine Listings – Part 1. In today’s article, part 2 of this short series, I am going to give you the next 4 ways to drive traffic to your real estate website. Let’s get started then, shall we? Let’s say that you invest in Chicago surrounding areas. You have a real estate website where sellers can contact you to use your services. However, you have found that there is a significant amount of people who contact you that want to sell their homes in other areas in Illinois or even other states. Since you only invest in Chicago surrounding areas, you have to turn these people away. What if you contacted other real estate investors who have websites and invest in those other areas? What if you created a joint venture with them? What if you told them that you can send them some leads for their areas and for every lead you send them or for every house they buy, you get something in return. Now, if you get paid for this, make sure you obey any and all laws. Search Engine Optimization (SEO) to get your listings on Google can be a very daunting task for some in real estate. In fact, with Google “slapping” search engine listings whenever they feel like they need to, it can be very hard to maintain first page listings. Therefore, I wanted give you some quick tips and strategies to drive traffic to your real estate website without relying on Google. The following strategies are in no particular order. What I would recommend is for you to see which 2-3 strategies suit you best and then run with them. Having a website is important for anyone in the real estate business. Unlike ten years ago, the technology and the WYSIWYG (what you see is what you get) programs available today, allow anyone to build a website without having much html knowledge. In fact, I see a lot of real estate investors building their own websites. Since I am a real estate marketer, I visit a lot of real estate websites to see how real estate investors use their own website as a lead generation and internet marketing vehicle. There are many problems I see some real estate investors make on their websites that kill their conversions, search engine rankings and lead generation rates. 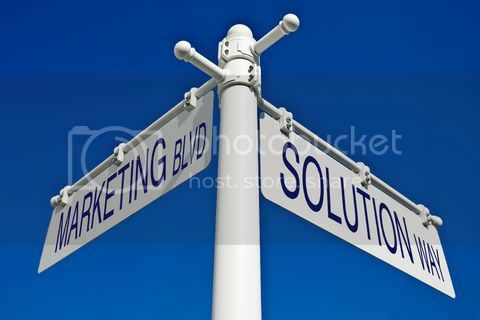 Direct Response Marketing is hands down the best concept to use for Real Estate Investing…better yet, for any business! Not using direct response marketing is like taking a bucket of money, hopping in your car, driving 100 MPH blindfolded, and sticking the bucket of money out the window as it flies all over the place. Ok… maybe it’s not that insane, but my point is that if you’re not using direct response marketing you could be wasting a bunch of money, a lot of time, and you might not have a clue how much its really costing you overall. Are you still out there chasing motivated sellers and buyers? Have you ever wondered why you’re not getting the response you want from your marketing? Have you ever wondered how to improve the response of your marketing (meaning get more buyer & seller leads) without breaking your pockets, but you have no clue where to start? If you said yes, to any of the questions above, then it could very well be that you aren’t using direct response marketing. If you are using it, then you may not be doing it right! Notice the words I underlined above. We’ll discuss that in a second. Just imagine your phone ringing off the hook with high quality leads that are ready to do business with you. It takes a lot of time and energy to cold call motivated sellers and knock on hundreds of doors in order to get a response. Although these methods can be effective, why should you do all the work? They need your services. It’s not the other way around. Remember, part of this concept is for the customer (buyer or seller) to respond to you directly!